Now, for the first time, Andrew’s widely-published, award-wining poems celebrating family life are gathered in one collection, Gestures of Love. These fatherhood poems are bound to delight and move all readers—not only parents, but also anyone interested in the joy, grief and quirkiness of the human condition. Andrew and his wife, Susan, have five children, three sons and two daughters, who were born over an 18-year period. Their first son was at university when their last son was born. This is why Andrew could write about a one-year-old son in 1978 and again in 1996. 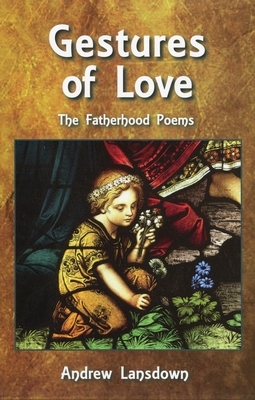 The poems in this collection span 35 years of fatherhood and are selected from twelve published collections of poetry. Many of these poems have been revised since they first appeared in Andrew’s other books. Some previously uncollected poems are also included. It is thrilling to be so loved. and races to the door to greet me. To be so loved. It is thrilling. and that sheer shine on his face! like the flesh of apples. a woman can never know. with her skirt caught up. Or she would more often. I am aware of her legs. are blushing in your lap.